The Raving Queen: Dingbat Is Dead, Darlings!!!!!!!!!!!!!!!!!!!!!!!!!!!!!!!!!!!!!!!! Alas, girls the passing of another great actor with skill and craft, two qualities which are rapidly dwindling!!!!!!!!!!!!! 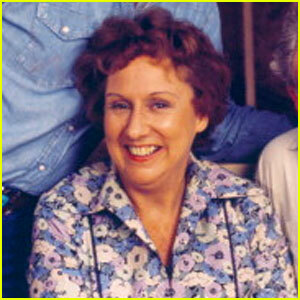 Jean Stapleton was no dingbat, and she was brilliant enough to play her signature role of Edith Bunker as someone less aware--the Archie Bunkers of the world--might have thought of as such, but who was far wiser and more insightful than even she realized. That is because Jean was a consummate actress. She came to TV by way of the stage. Did you know she understudied Shirley Booth, on Broadway, in the original production of "Come Back, Little Sheba??????" I would love to have seen Jean perform the role of Lola Delaney!!!!!!!!! And Musical Theater Queens know her as a character actress therein, having appeared on Broadway in "Bells Are Ringing," "Damn Yankees," and with BARBRA, "Funny Girl." She can be heard on all cast recordings of each, but it is worth it, with "Funny Girl" to hear Jean utter that immortal line, "When a girl's incidentals, are no bigger than two lentils, then to me that doesn't spell success." Jean introduced that!!!!!!!!!!!!!!!!!!!!!! I had no idea she was 90; acting well into maturity, she seemed almost indefatigable! I had the pleasure of seeing her onstage, with Polly Holliday, in a revival of "Arsenic And Old Lace," featuring another TV vet from Jean's era, Abe Vigoda!!!!!!!!!!!!!!! I had forgotten she was in "Klute" and "Up The Down Staircase." Jean was a working actress, who acted to work, and worked to act!!!!!!!!!! Which she would have done, even if Edith had not come her way. Did you know she was offered the role of Jessica Fletcher in "Murder, She Wrote?????????" How about that, Miss Lansbury???????????? Jean will be remembered and missed. She may have immortalized a dingbat, but she and her character were far, far beyond how audiences perceived them both!!!!!!!!!!!!!!!!! !